Delegate Kathy Szeliga was first elected in 2010 to the Maryland House of Delegates. Kathy serves on the Health and Government Operations Committee. She has served on the Appropriations Committee and Environment and Transportation Committee. 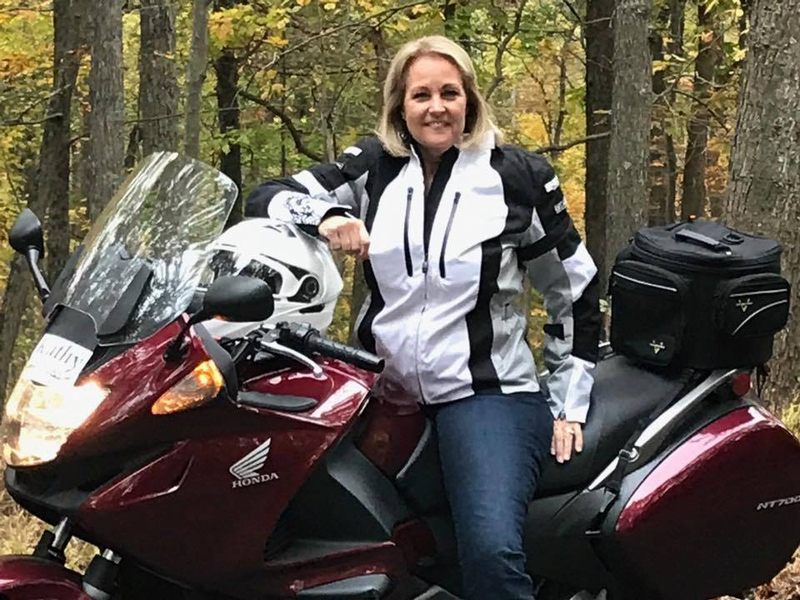 In 2016, Kathy Szeliga successfully triumphed over a crowded field of 14 candidates to be the Republican nominee for US Senate. Although unsuccessful in the general election, Szeliga won 18 of 23 counties and received almost 1 million votes and the second highest votes for a Republican in the history of the state. In Kathy's senatorial bid, she outperformed the presidential candidate statewide, the first time a senate candidate received more votes than the presidential candidate in recent history. 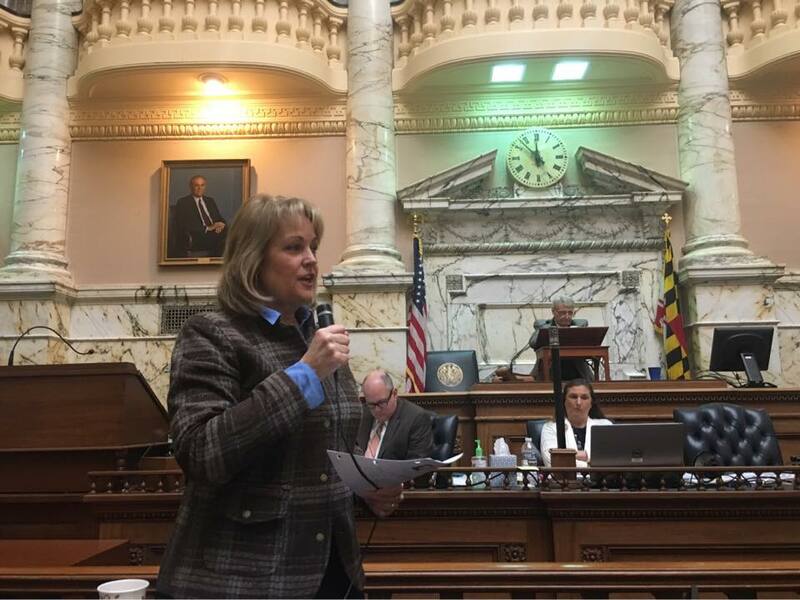 Together, Leader Nic Kipke and Whip Kathy Szeliga were elected in 2013 to lead the House GOP Caucus as they work hard to defend common sense conservative ideas in the Maryland House of Delegates. They continue to be unanimously re-elected to lead the Maryland House Republican Caucus. Delegates Szeliga and Kipke organized a highly effective campaign effort in 2014 and successfully helped elect the largest number of GOP representatives to the Maryland House of Delegates in the history of the state. Additionally, Delegate Szeliga has received prestigious awards, such as Maryland's Top 100 Women, The Baltimore Sun's Women to Watch, 2014 Legislator of the Year from MD Society of Anesthesiologists and a Towson University Distinguished Alumni Awardee in 2017. Married for over 38 years to Mark, they have two married sons and two granddaughters. She has been an active member of Grace Community Church in Kingsville, Maryland, for more than 25 years. Kathy and her husband, Mark, started a construction general contracting business 32 years ago where they work together today. Kathy Szeliga has dedicated her life to her family, their family business, and the citizens of Maryland. Her diverse background helps to make Kathy an effective Maryland State Delegate, a leader in the House of Delegates, and the highest-ranking Republican woman in Maryland. The Pride of Baltimore 2 - docked in Annapolis this week Johns Hopkins Police Force This week, we passed a bill from the House of Delegates to allow Johns Hopkins Hospital and University to create its own police force. I voted YES. Crime in the City, especially violent crime, is a tremendous problem. Baltimore City has not been effective at reducing the crime that escalated after the Freddie Gray riots in April, 2015. Maryland Democrat Party attacks Reagan and Hogan This is the unedited statement put out by the Maryland Democrat Party on Tuesday, March 19th. Annapolis, MD—Last night, after Governor Larry Hogan claimed in an interview that he comes from “the Ronald Reagan school of politics,” Chairwoman Dr. Maya Rockeymoore Cummings stated that “With this, Larry Hogan promises to be a dog whistle white nationalist instead of a Trumpian white nationalist. This is a cold comfort when what the world needs is love & Unity. Angel Families get their say Angel Families Urge Protection of Maryland Citizens Delegate Szeliga Presents Keep Our Communities Safe Act of 2018 (Annapolis) - Joined by survivors of citizens killed by illegal immigrants, Delegate Kathy Szeliga presented the Keep Our Communities Safe Act of 2019 to the House Judiciary Committee. Delegate Szeliga was joined by Angel Widow Marla Wolff and Angel Mother Arlene Cohen. Angel Families is a national organization of relatives of victims killed by illegal immigrants. State of the State is Strong Governor Hogan delivered an upbeat message in Wednesday’s State of the State address to the General Assembly. He conveyed a powerful theme of bipartisanship and mutual respect, a staunch reminder that both sides of the aisle work for the Maryland people. 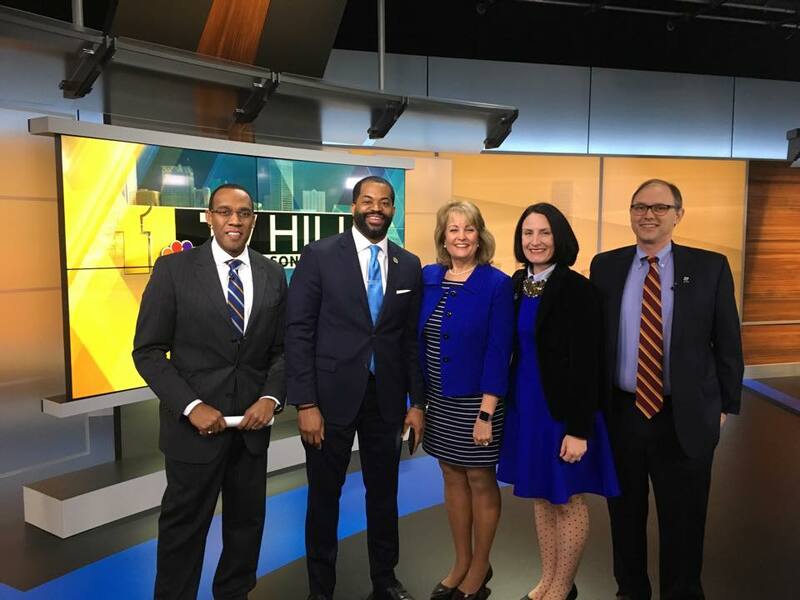 While he covered a range of topics he focused mostly on; violent crime in Baltimore City, non-partisan redistricting, and some much needed tax relief. Early Voting Starts TOMORROW! Thursday, October 25 – Thursday, November 1 10 AM – 8 PM (even Sunday) I strongly encourage you to vote early. The first few days of early voting are busy. If you wait until Sunday, or later in the week, the lines are typically short and the wait is less than 10 minutes. You can early vote at any early voting center in the county where you are registered to vote.